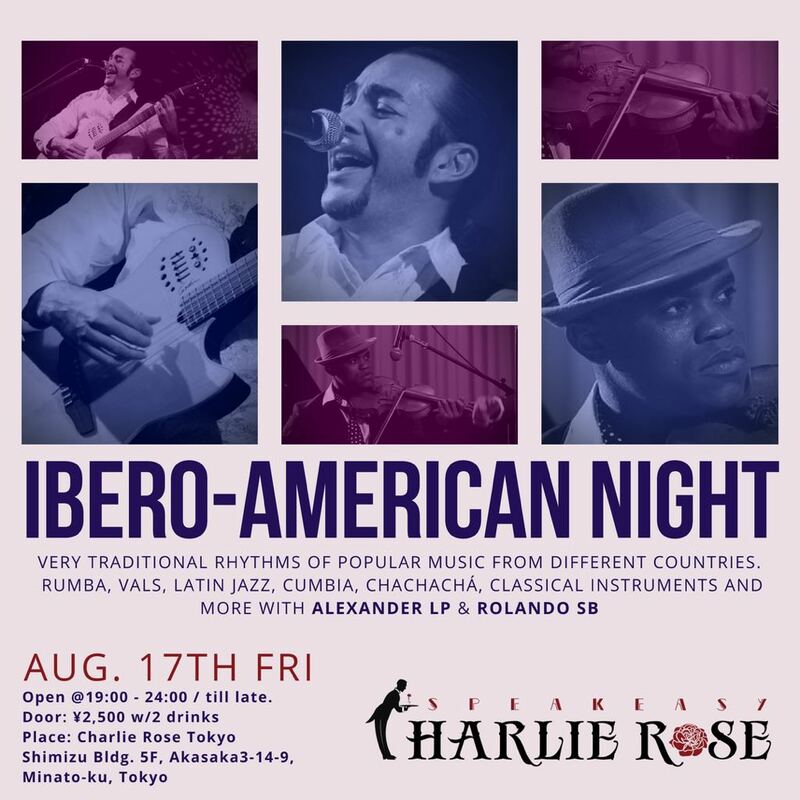 Ibero-American night with very traditional rhythms of popular music from different countries. Rumba, Vals, Latin Jazz, cumbia, chachachá, classical instruments. 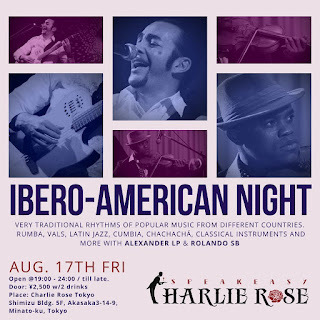 Alexander LP & Rolando SB will bring an amazing flavor with their music mixing the Glamour in this fantastic event. About Alexander Laborde Padron: singer, guitarist, & composer. Alexander has been active in Japan since of 2004. He debuted at Roppongi Hills, Tokyo midtown, and at multiple summer music festivals. traveled to ashiya and Kobe where his live concerts earned him hundreds of new Latin music fans on the west side of Japan. He had many performances in the high societies of Japan, the imperial family, private concerts for president of Hinomaru Taxi, Sushizanmai, as well as high-level companies in Japan. And remember: Music constitutes a revelation higher than any philosophy.